- The dll files of the KMSInject method have been re-encoded. He's receiving a zero virus alert as of now. - Digital and KMS38 method gatherosstate.exe and slc.dll files are modulated by me. He's receiving a zero virus alert as of now. - Some ﻿improvements have been made to all cmd scripts . AND NO there is NO PASSWORD needed. 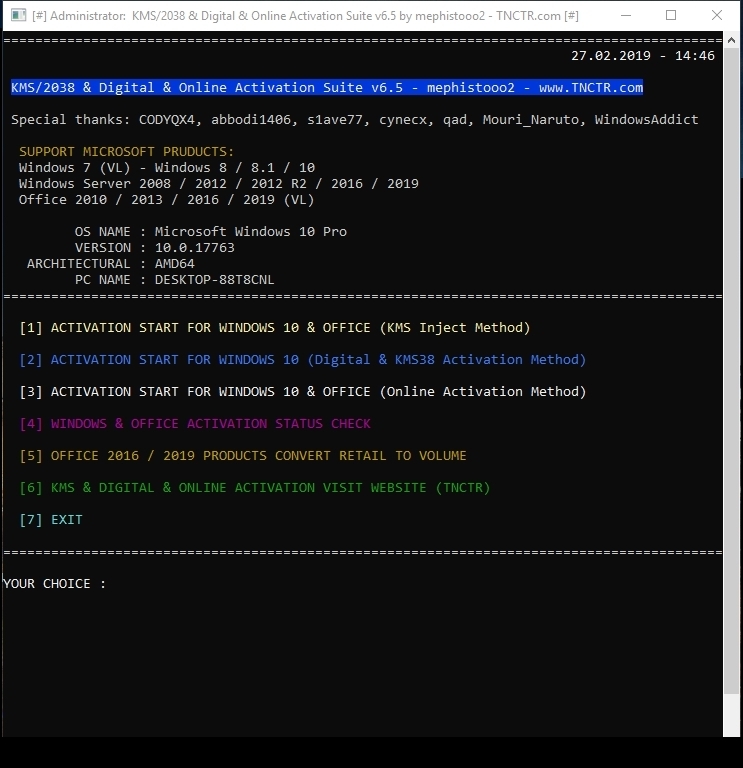 -Fixed the issue of not activating Office 2019 products on KMSInject method. my master health in your hand. You have made an activation program without virus warning.